Notions of fake news and post-truth have recently gained attention in public debates in several countries. To a large extent, these notions have been employed to criticize forms of communication and alleged deficits in political debates. 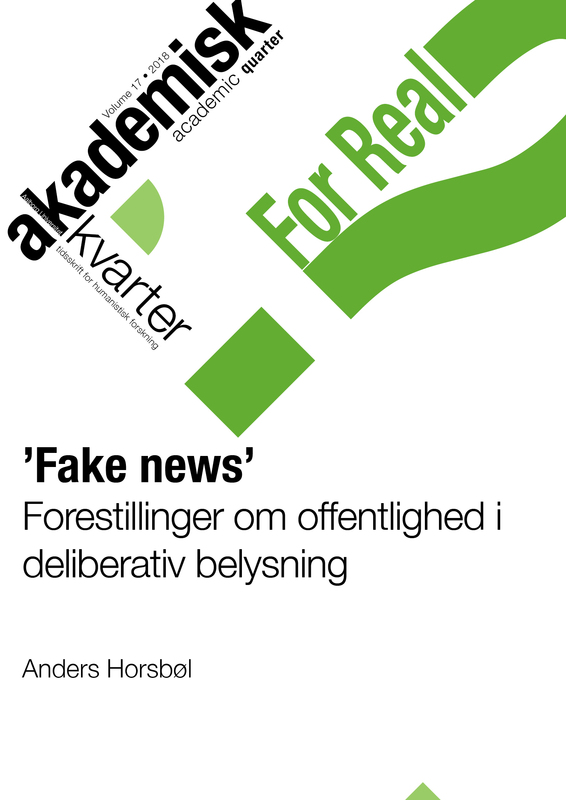 The current article examines how the notion of fake news has been articulated in the Danish mass media in a selection of texts from autumn 2017. On the basis of this brief analysis, the article critically discusses the (implicit) understandings of the public sphere and its problems associated with the notion of fake news. To cast a constrastive light on these understandings, deliberative perspectives on a democratic sphere are drawn upon. As a result, the article points to limitations of the notion of fake news when it comes to addressing key challenges of a modern public sphere. Anders Horsbøl ph.d., er lektor ved Institut for Kommunikation, Aalborg Universitet. Hans forskning ligger især inden for politisk kommunikation og offentlighed, bæredygtighedsindsatser og sundhedskommunikation, ofte med metodisk inspiration fra diskursanalyse.